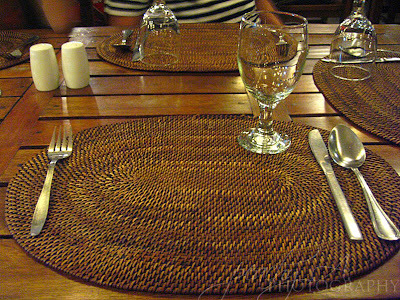 TerrazaLakeside Restaurant is the main restaurant at Club Balai Isabel. You can dine while enjoying the spectacular view of Taal Volcano and Taal Lake BUT…there’s a big but….the service is über slow. I love their table mat,though.. 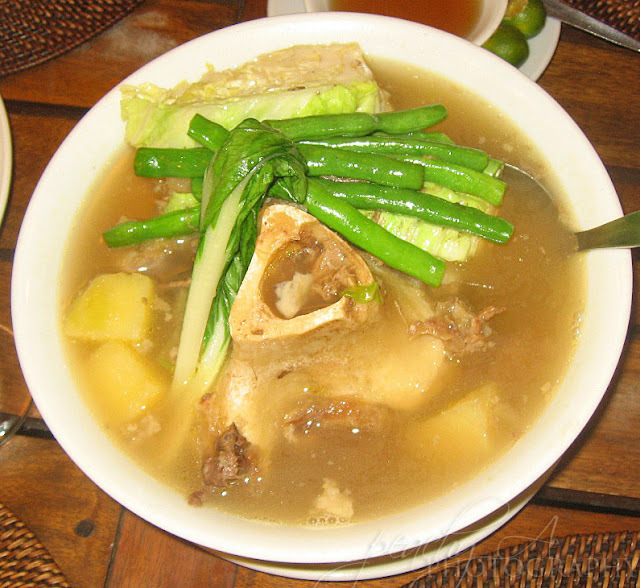 This is Batangas’s signature dish. 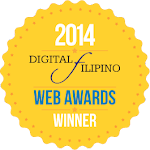 This is very rich, flavorful and comforting. 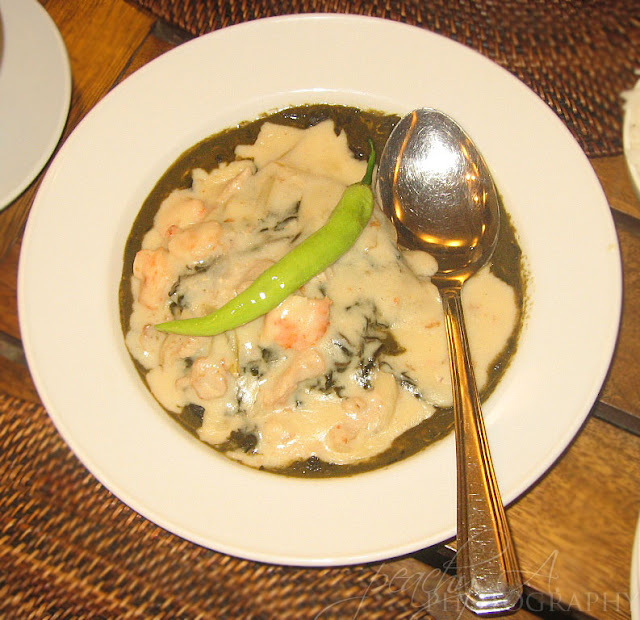 You don’t leave Batangas without ordering this dish. 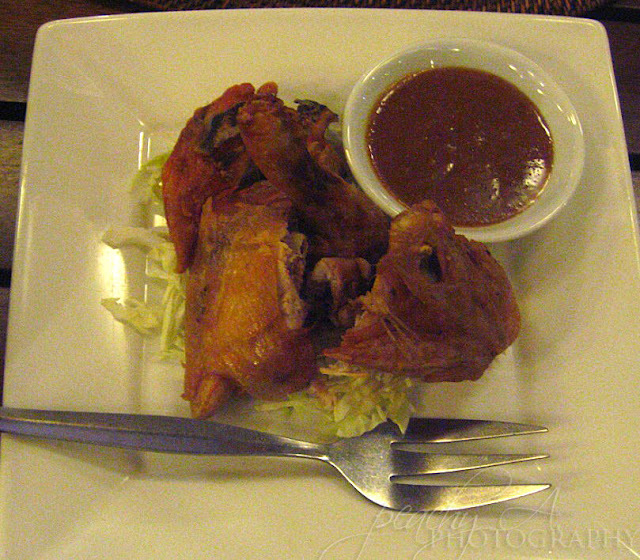 We ordered fried chicken because this is what Ykaie wants to eat. 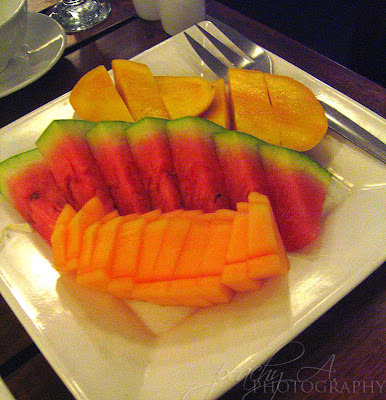 Dessert was sliced mangoes, melon and watermelon..
A picture before dinner. The food took some time before it arrived, just look at ykaie’s face..lol! Roman missed dinner, he had to go to the hospital because he was having severe stomach pains. That’s okay, though, he met a really cute doctor…who gave him some pain reliever. He went to the hospital immediately when we got home to have that stomach pain checked. 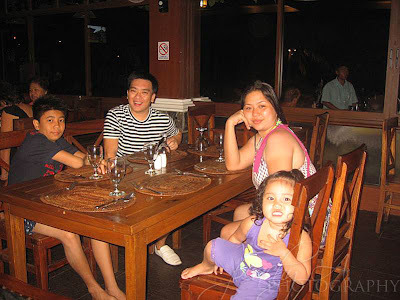 I’ll be posting what we had for breakfast at Club Balai Isabel tomorrow…..